Interested organisations (which we would expect to be registered charities or appropriately constituted groups) should contact the PDAC Company Secretary in the first instance for further details about how to apply for financial support; which is expected to amount to a maximum of £2,000 per organisation. Email: company.sec.PDAC@gmail.com or write to PDAC at the above address. The deadline for the next round of Community Chest funding is fast approaching - Thursday Sept 3rd - so please hurry and submit the attached application form ASAP if your club wishes to apply for up to £1500 to deliver a scheme that will either increase participation or improve standards in your sport. Many thanks / diolch yn fawr iawn. The Charles Hayward Foundation is a grant-making charitable trust making awards to charities that are registered in the U.K. The organisation is governed by a board of voluntary trustees, chaired by Mrs. Sue Heath. The following information is intended to provide a general overview. After which, it is important that you refer to our funding categories for specific information and guidance. Social & Criminal Justice, Heritage & Conservation (for charities with an income of more than £350,000) and Overseas (for charities with an income between £150,000 and £5,000,000). Social & Criminal Justice, Heritage & Conservation and Older People (for charities with an income of less than £350,000). Within all of the above categories we fund project costs and capital expenditure. 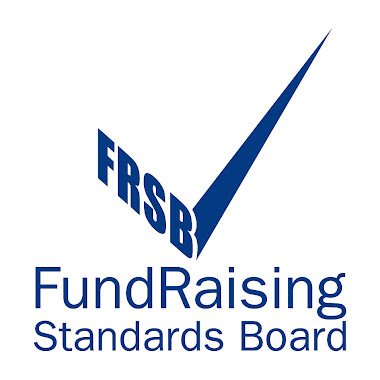 For guidance on the types and size of grants we make, please refer to specific category guidelines, also downloadable click here. This interesting article shows how charities capitalised on the new series of the Great British Bake off, and by embracing social media in getting their message across. The Hobson Charity Limited offers grants to charitable organisations active in the UK. • Support of older people and disadvantaged people. This is a largely discretionary grantmaking trust that funds a broad variety of projects. Previous grants have been for between £500 and £150,000. The vast majority of awards are for less than £5,000. During the financial year ending 31 March 2014 the Charity distributed 88 grants totalling £950,220. The average award was therefore slightly over £10,000. Registered charities operating in the UK are eligible to apply. The application process is ongoing and interested applicants may apply at any time via a letter of application. PLEASE NOTE: the charity does not have a website. Further information is available, however, on the Charity Commission website.